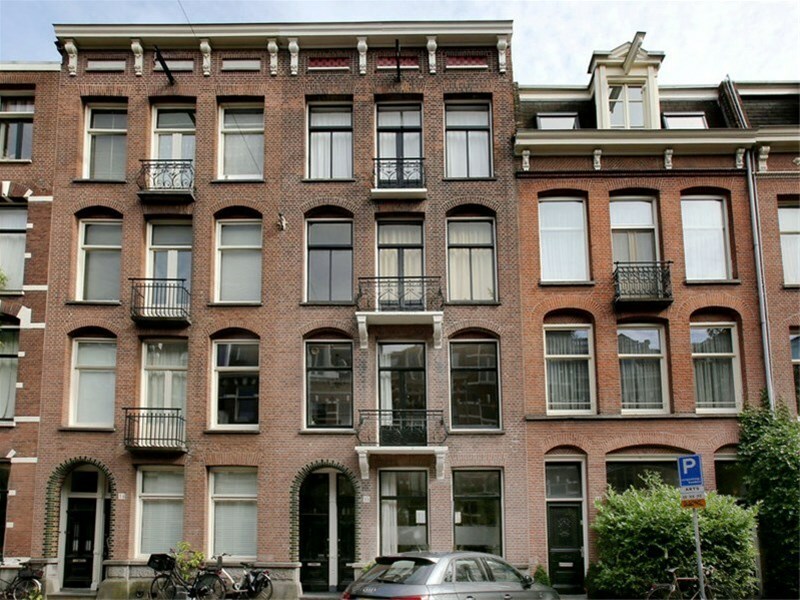 Derde Helmersstraat 15 II Amsterdam, Oud-West - Peter Bruin Makelaardij o.g. b.v.
Renovated and fully furnished apartment of approx. 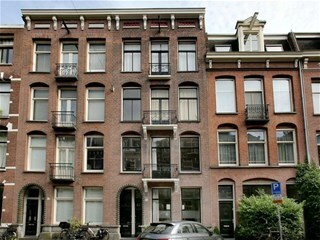 130 m2 located on walking distance of the Vondelpark, Leidseplein and Jordaan area. The duplex top floor apartment with 3 bedrooms and study is situated in the popular Old-West area with lots of trendy shops, bars and restaurants in the vicinity. Private entrance with staircase to the second floor. Three bedrooms and large walk-in closet with fitted wardrobes. Bathroom with bathtub, separate shower and double wash-basin. Hallway ,separate toilet and utility room with washer & dryer. Spacious open and fully equipped kitchen with intergrated appliances and dining area. The dining area gives access to a balcony facing South. Living room situated at the front side of the house. Study/ home office and second bathroom with toilet, shower and wash-basin. * Fully furnished top floor apartment.